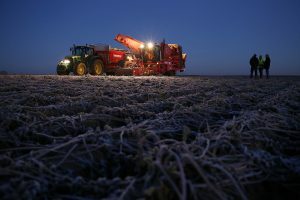 Hesbaye Frost & APLIGEER, specialists in cultivating and deep freezing vegetables, promote a subtle combination of knowledge and know-how reliant on human and technical skills. Making the most of experience accumulated over time, we add the notion of pleasure to this recipe for success. Pleasure to be felt by the consumers. For us, human capital is of vital importance as we share the values of a family business. Man is at the crossroads of all our thinking and at the heart of all our projects, be they internal or external. With our ideal location surrounded by fields, the source of our raw materials, we operate as a responsible company, fully aware of our environmental impact. Our primary goal: reconcile with respect the human, nature and quality aspects of our products..
Hesbaye Frost & APLIGEER are first and foremost men and women who combine their vitality and their talents to take rightly the best that Nature has to offer and fix this quality in their products. The history of Hesbaye Frost is linked closely to its home region. 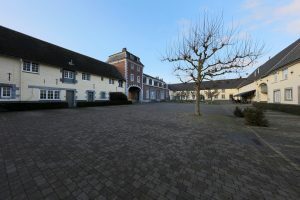 The loamy soil in Hesbaye has always enjoyed a reputation in the world of agriculture for being one of the richest in the country. For centuries, the inhabitants of the village of Geer supplied the Lord Abbots of Flône with cereals. In 1609, the Lord Abbots of Flône and Geer built the manorial farm of Geer, which is still home to Hesbaye Frost. The farm remained the property of Flône until the Revolution. Over the next two centuries, it was purchased by the Darrigade de Ribaucourt family, carriage-makers. The farm was then taken over by Emile Lejeune who founded the company “Mon Jardin” in 1933. He converted it into a modern factory that produced tinned fruit and vegetables for more than forty years. The factory was then bought out by the Marie Thumas Group in 1972. It passed into State control in 1980 and was named “Conserveries de Geer”. Tinned goods production continued to dominate despite the appearance of frozen products. 1985 saw two companies specialising in the production and marketing of frozen vegetables create the company Hesbaye Frost. The crisis-struck production of tinned products was abandoned in favour of frozen goods. Although Hesbaye Frost’s success is based on the talents of its employees, it is closely linked with the know-how of the members of the cooperative APLIGEER. Found in 1999, the cooperative nowadays works with five hundred farmers from Hesbaye and Condroz. 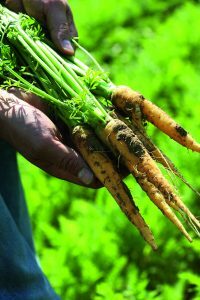 The group cultivates about 7,000 hectares of vegetables in these regions and produces peas, mange-tout, beans, spinach, broad beans, carrots, Brussels sprouts, kale, chervil, potatoes and parsnips. It has its own team of agronomists to monitor all the operations, from choosing seeds to harvesting. This full control of all stages combined with the quality of the land ensures the quality of the vegetables. APLIGEER develops solutions tending towards sustainable production of residue-free vegetables which meet both the most rigid nutritional requirements and the visual expectations of consumers. It also assists and supports farmers wishing to explore organic farming which is also accounting for an increasing share of its overall production.